The beautifully design Parker Knoll Sinatra wing chair, which looks and feels fabulous in the full array of fabrics and leathers, as well as different wood shades for the legs. The seat interiors can be in either Easycare foam or Quallofil fibre. 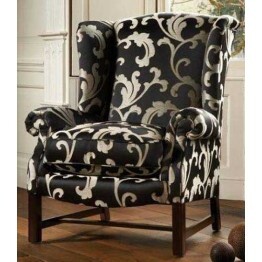 The Parker Knoll Sinatra Chair which is a classic wing back chair that has delightfully shaped scrol..